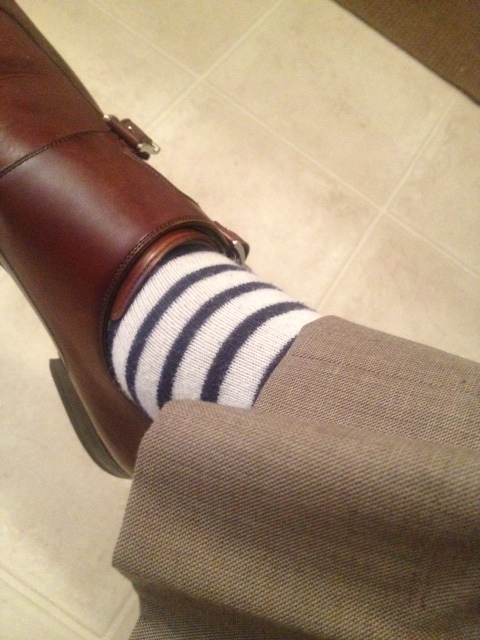 Stripe socks by Ralph Lauren. 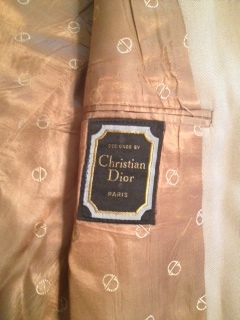 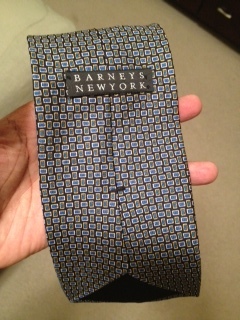 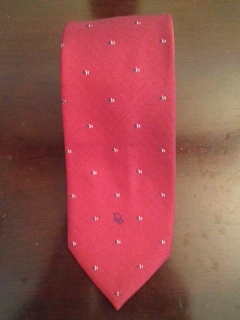 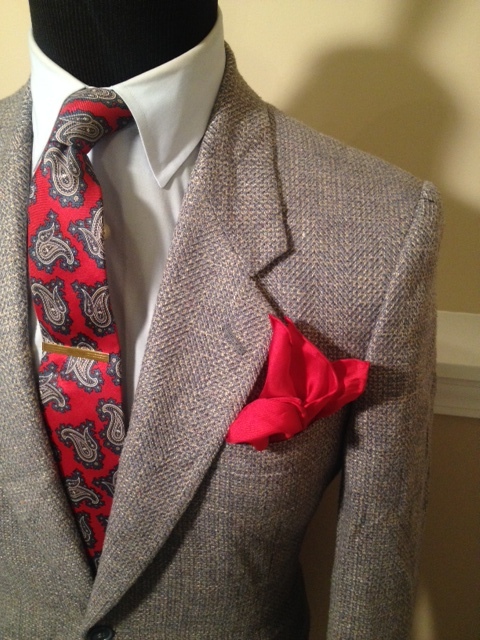 Silk necktie by Yves Saint Laurent is a thrifting find. 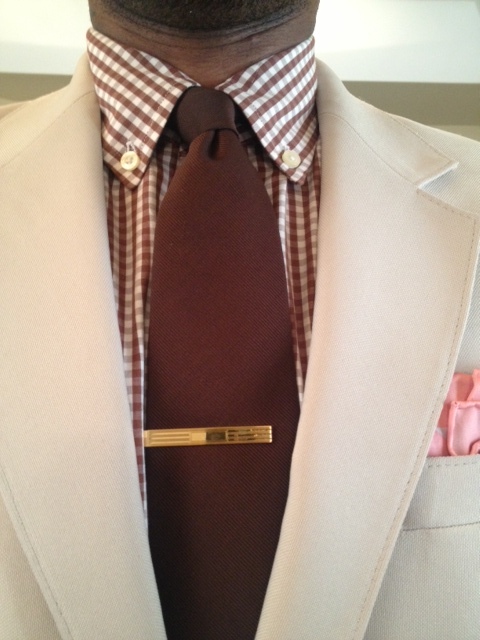 Silver tie bar by Banana Republic. 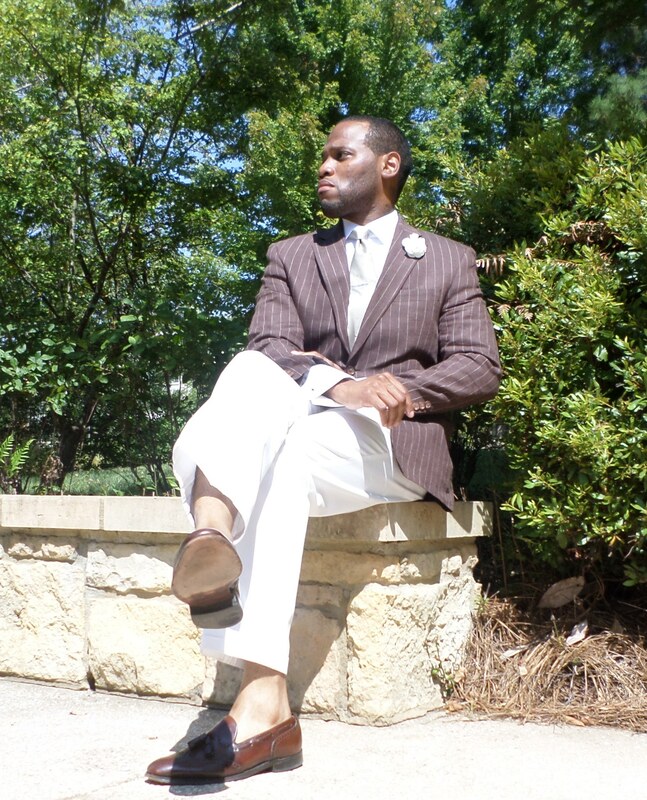 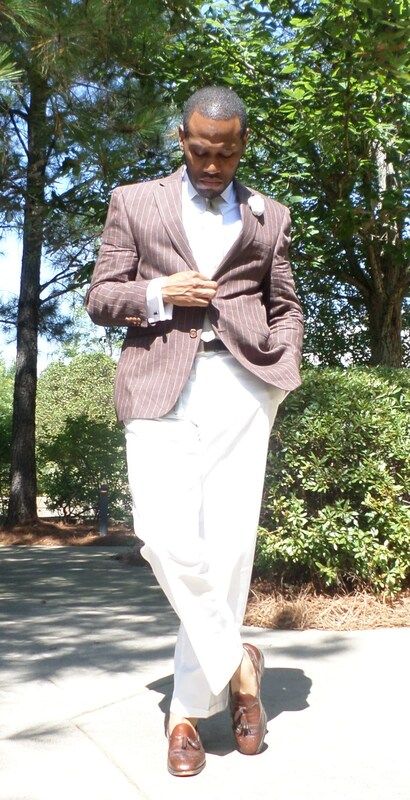 Striped french cuff dress shirt with the white contrast collar is a thrifting find. 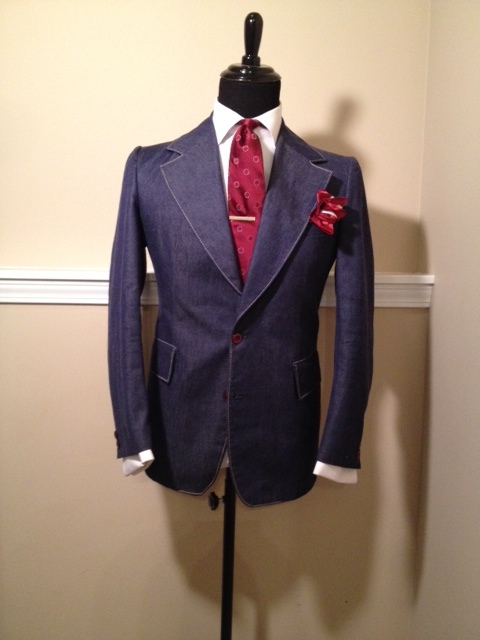 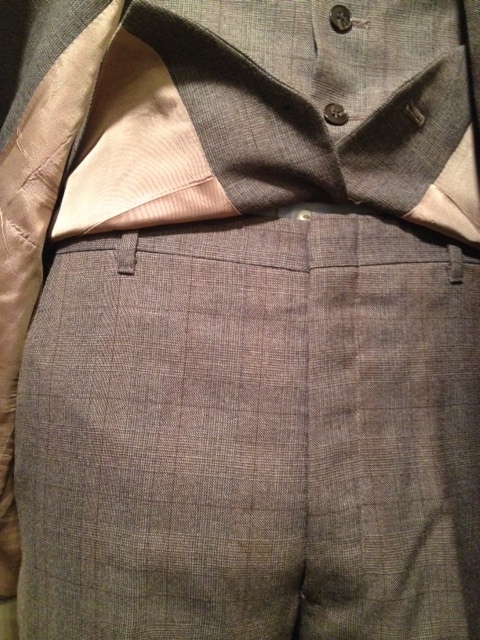 Suit by Tommy Hilfiger features notch lapels, two button closure, side vents, flap pockets, and full interior lining. 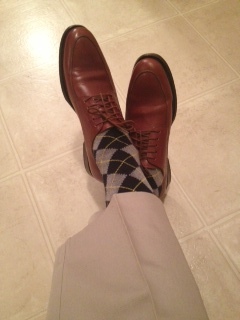 Brown cap toe oxfords by Adam Derrick To Boot New York. 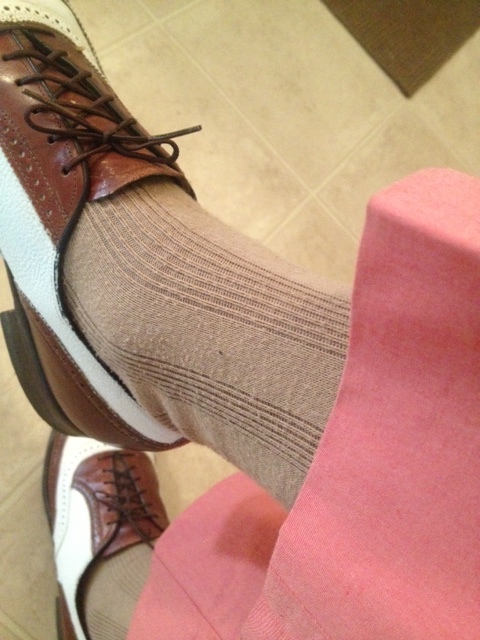 Ribbed chocolate cashmere dress socks are a Nordstrom’s store brand. 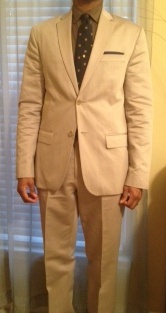 Khaki color flat front dress trousers are by Calvin Klein. 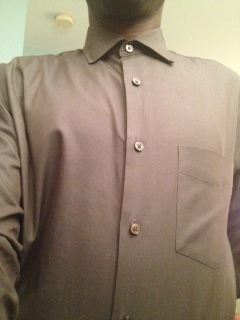 Pewter color, pointed collar dress shirt is a thrifting find. 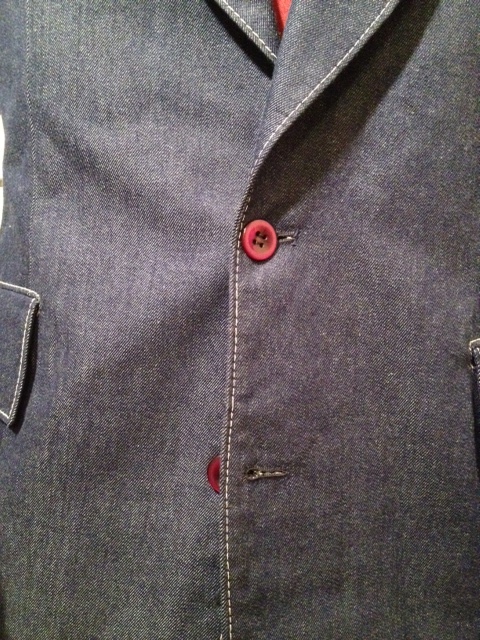 I removed the studs and went with a collar pin. 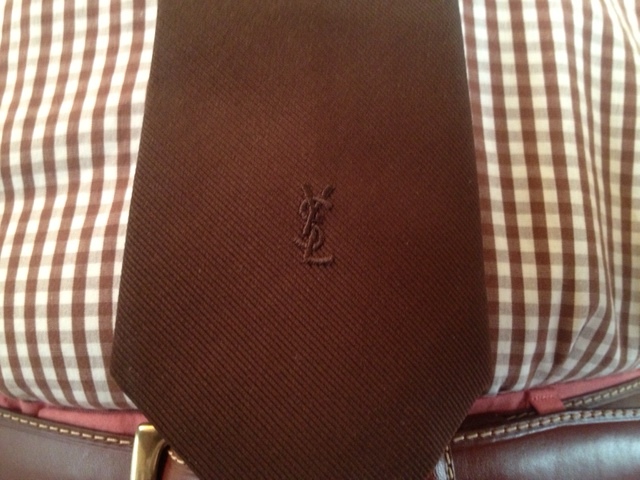 Chocolate Yves Saint Laurent necktie was a thrifting find. 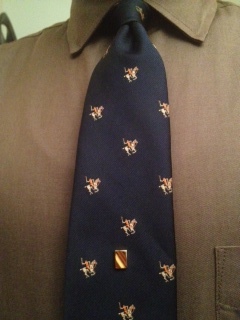 Collar Pin is by Ralph Lauren and the tie bar is by Banana Republic. 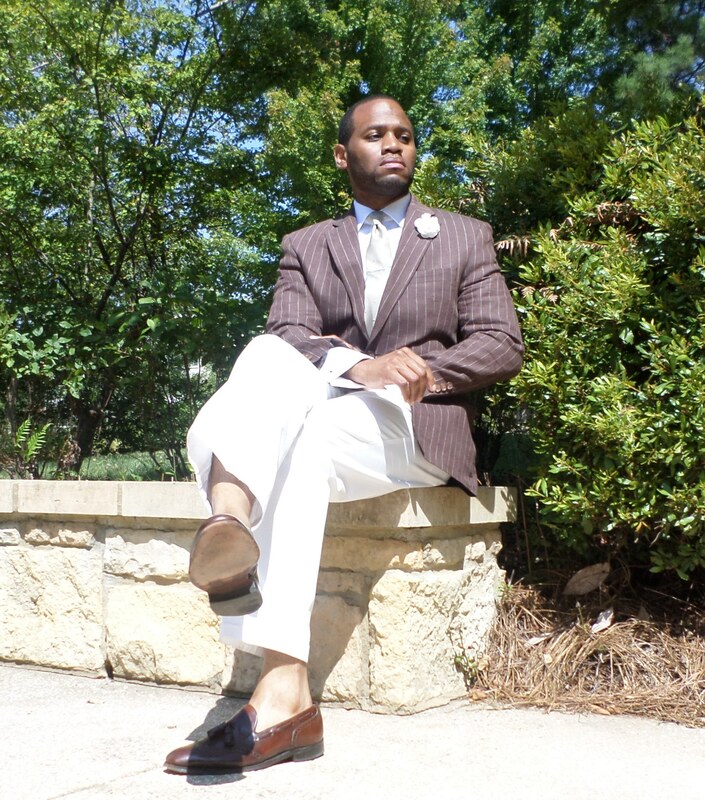 Grey chalk striped blazer is by Banana Republic…and also a thrifting find for $15 from Buffalo Exchange in Charlotte, NC. 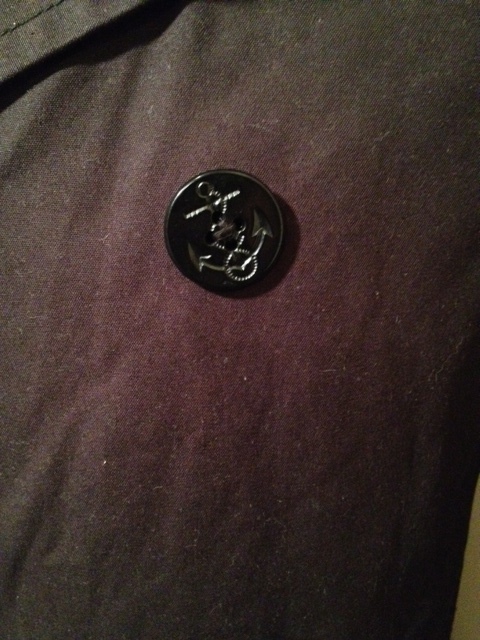 Buffalo Exchange is like “Plato’s Closet on Steroids”! 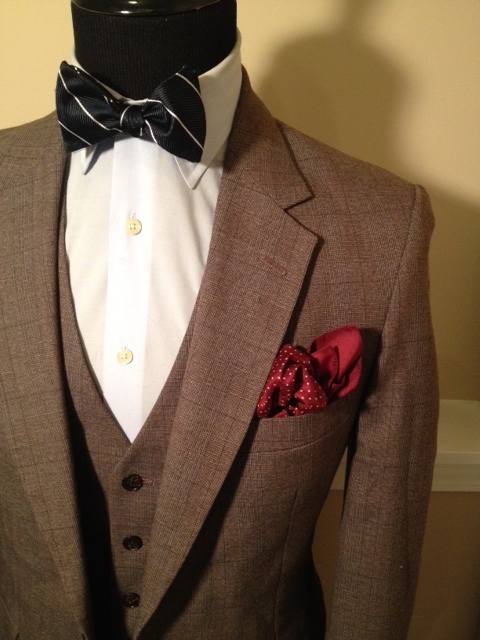 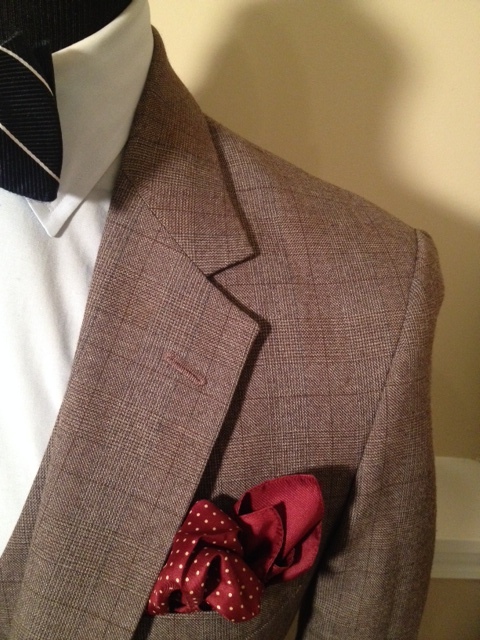 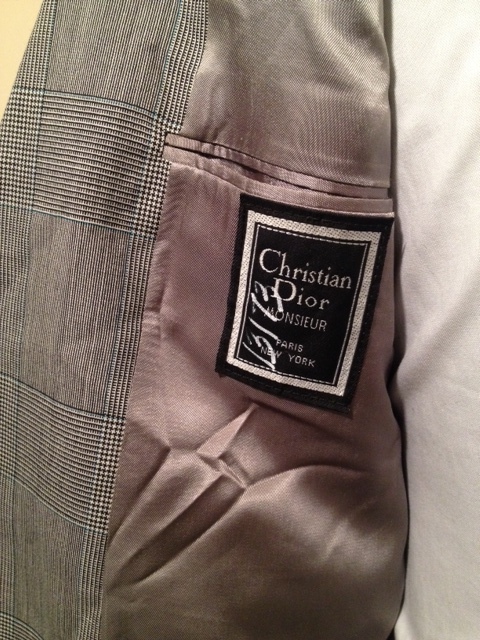 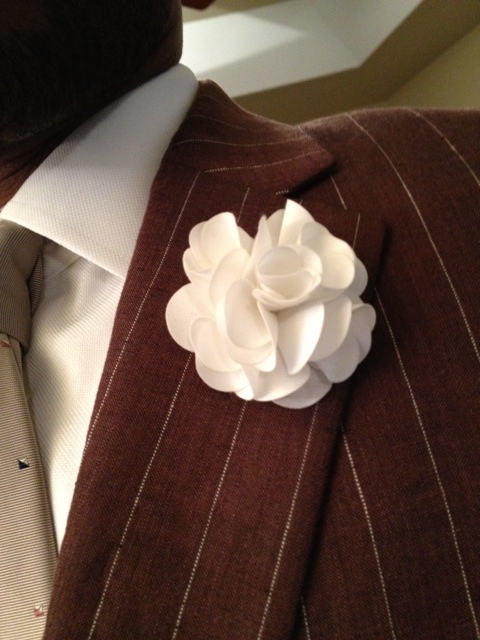 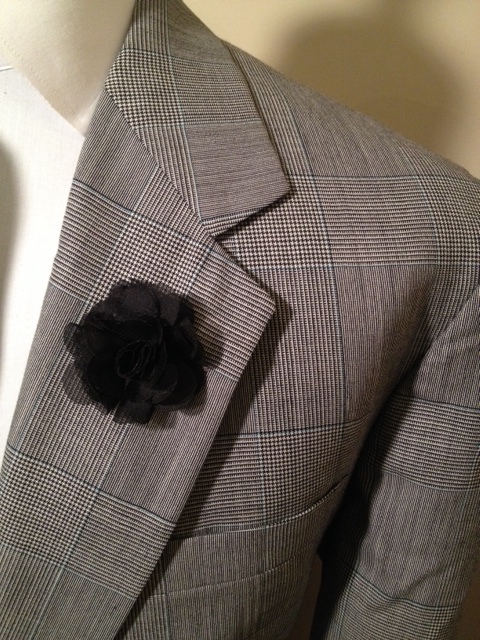 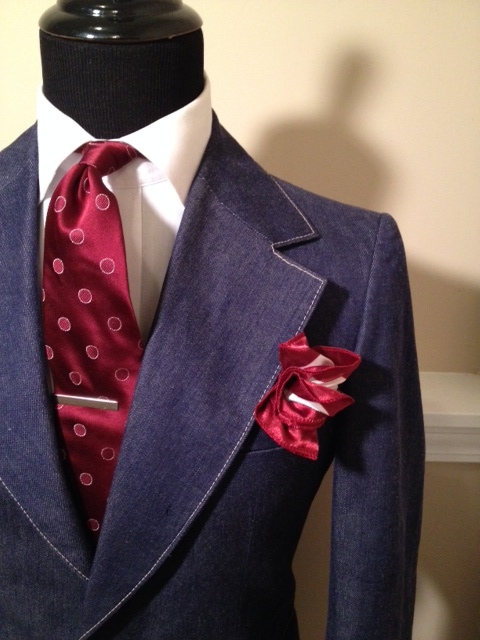 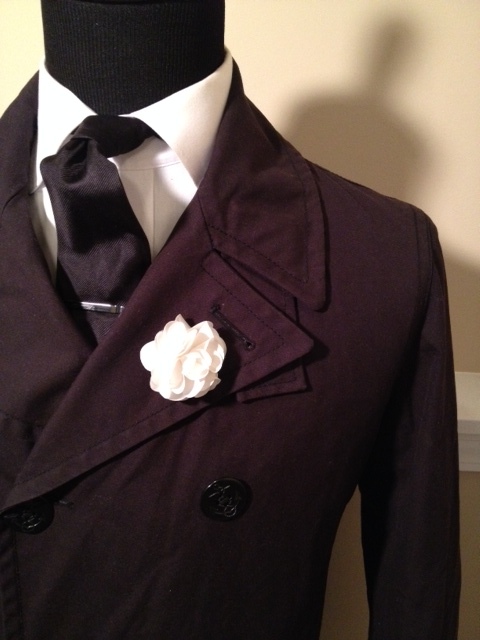 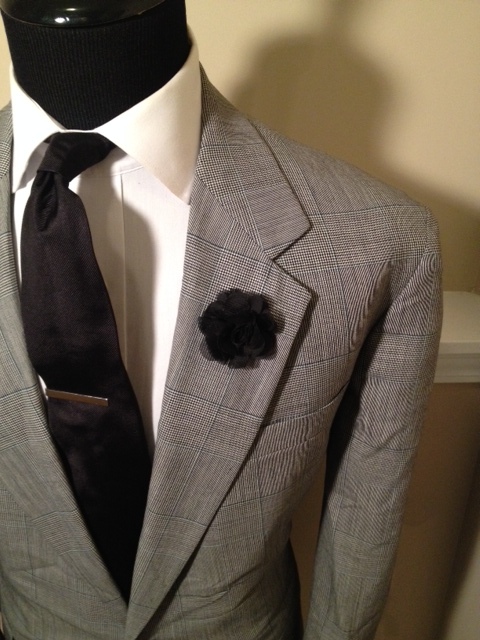 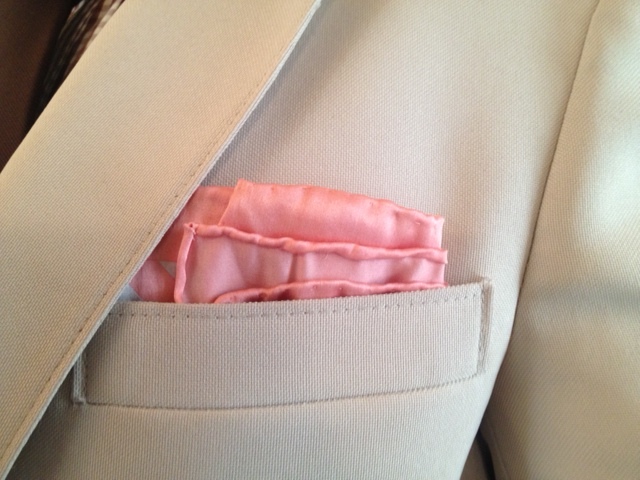 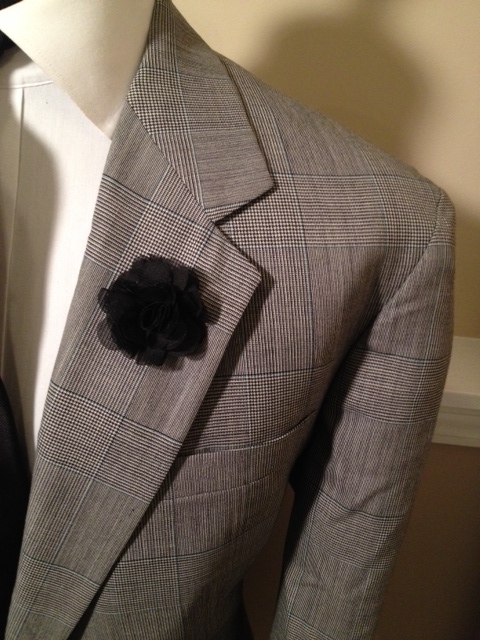 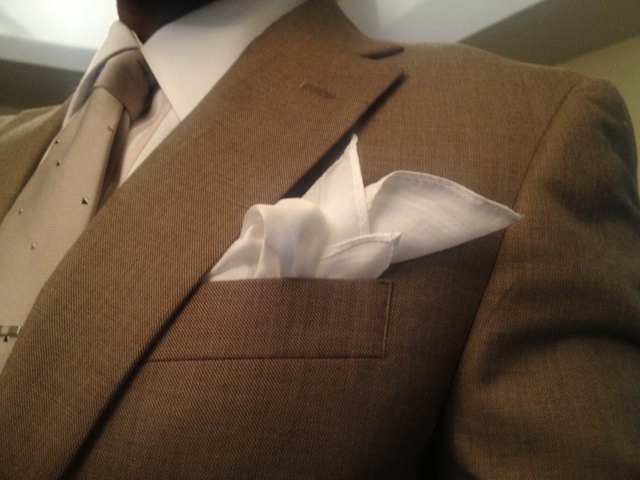 Silk chocolate pocket square…origin is unknown. 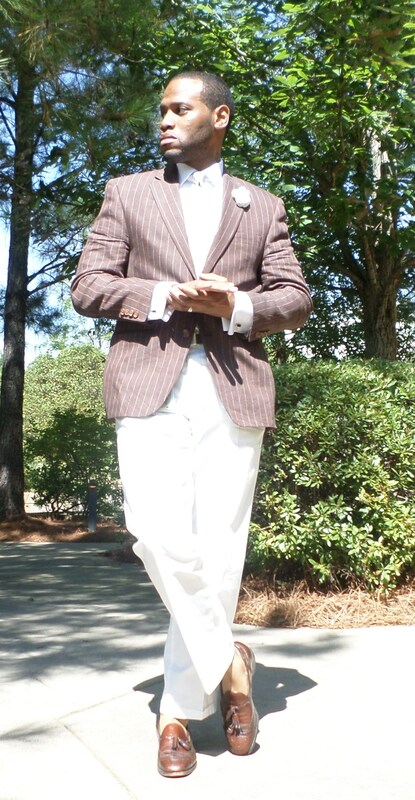 This weather in North Carolina is the craziest! 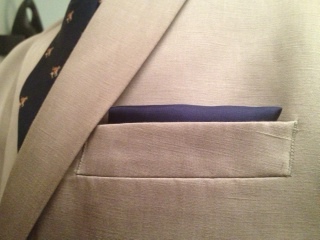 I really did not have a clue what to do this morning. 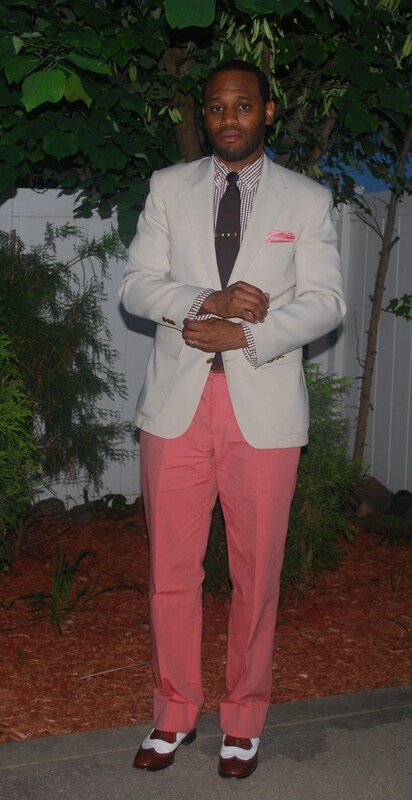 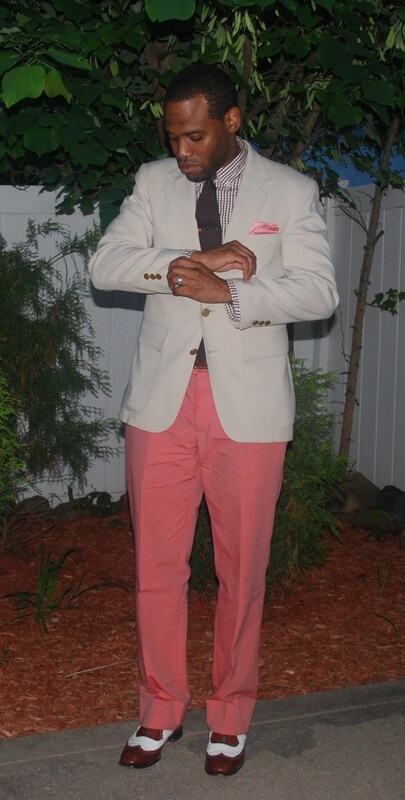 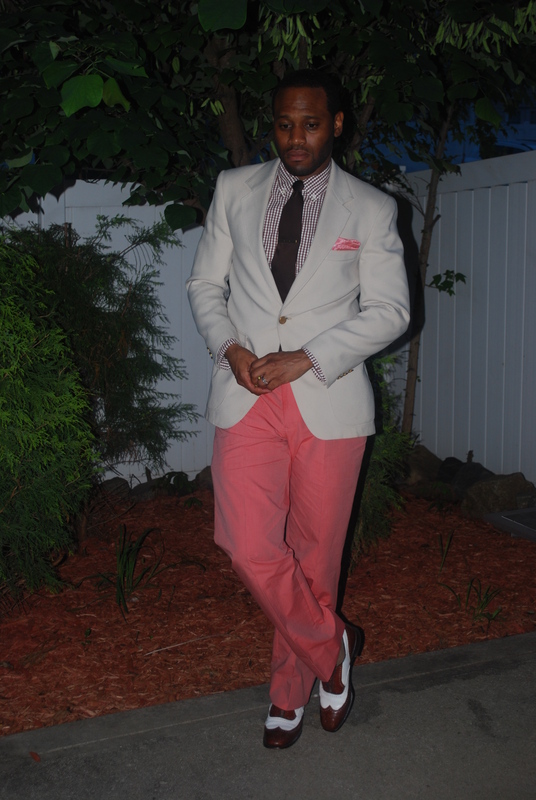 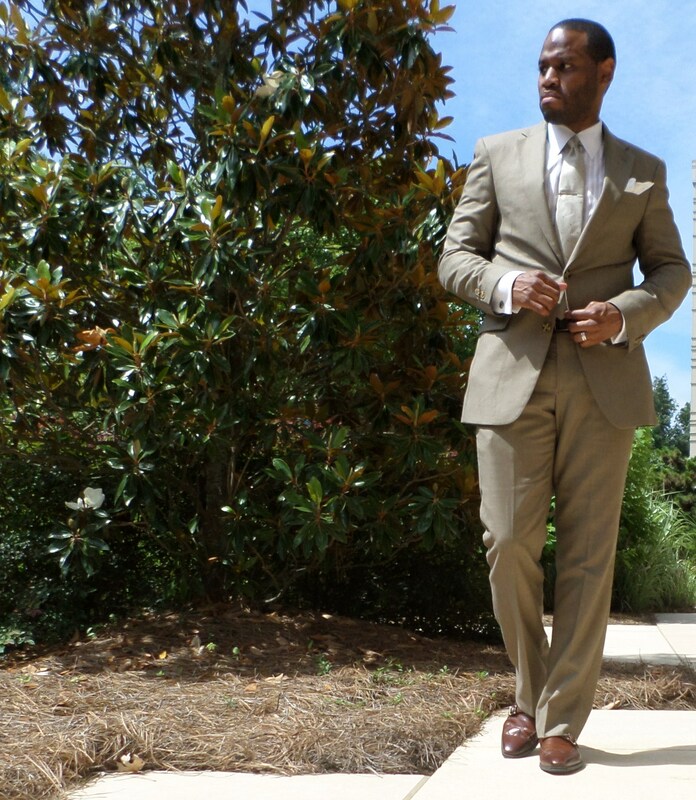 But, when in doubt, just relax and put on a suit! 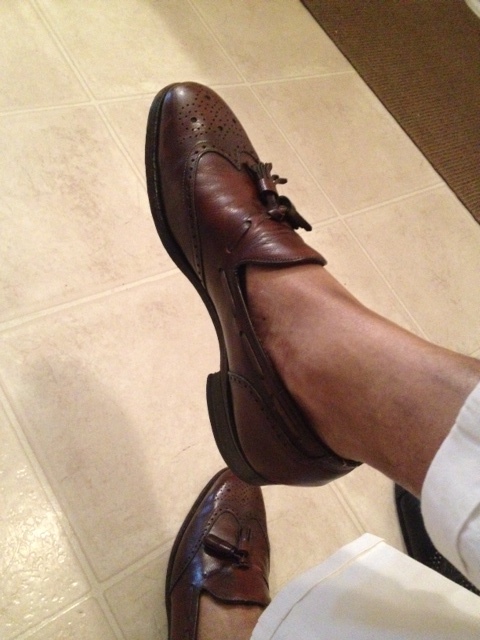 Brown dress shoes from Saks Fifth Avenue. 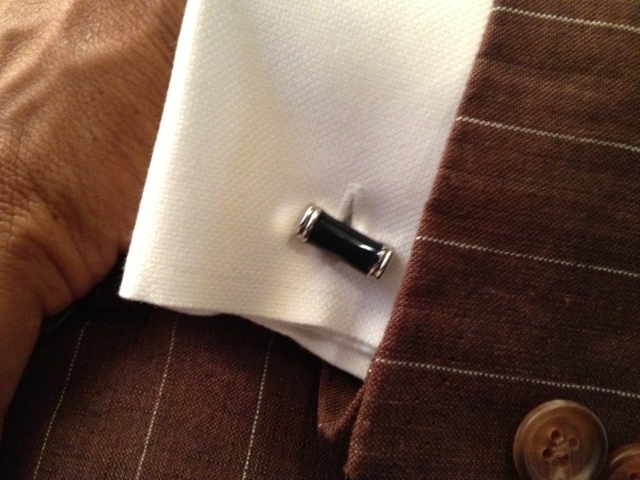 You should be familiar with these by now. 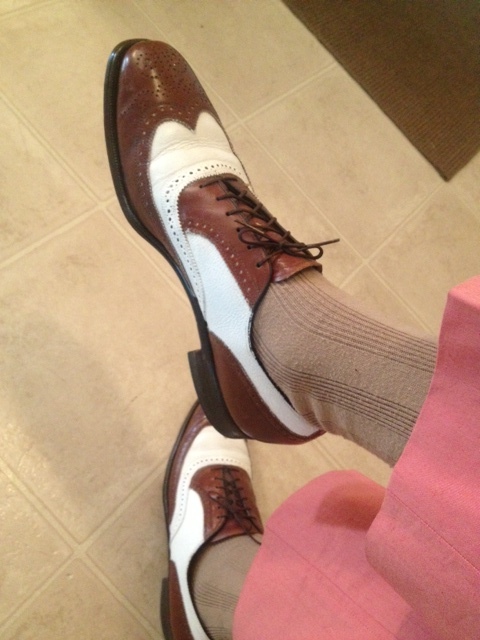 I rely on these shoes a lot. 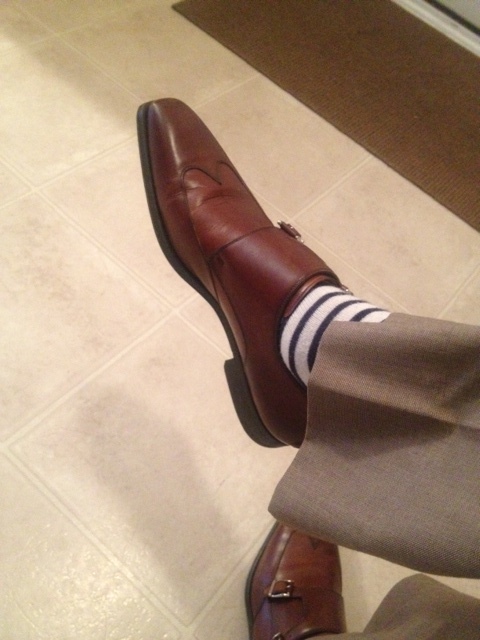 They are so simple…so plain…so sleek…so me! 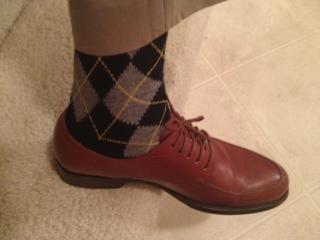 Navy, grey, and maize argyle socks are from Brooks Brothers. 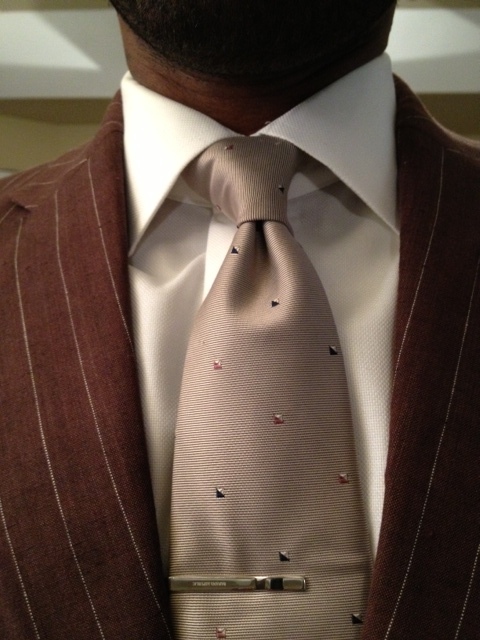 Brown spread collar dress shirt is from Banana Republic. 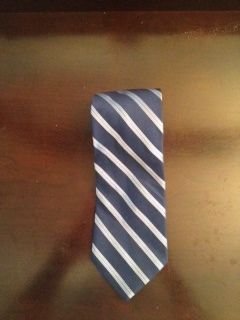 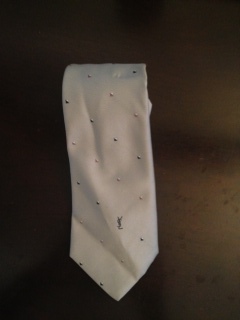 Navy tie with polo men is a Yves Saint Laurent thrifting find for $2. 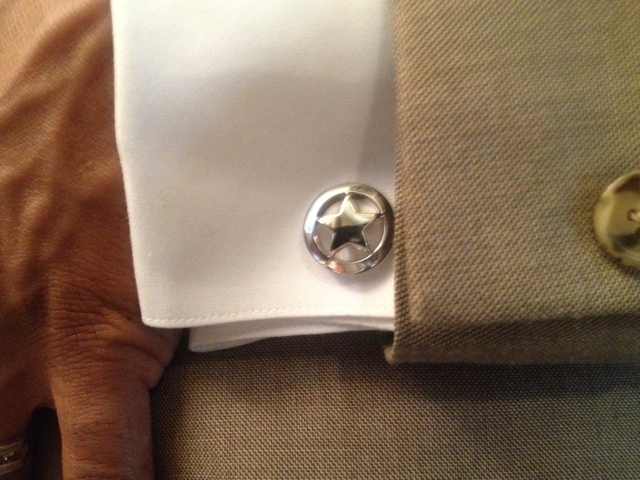 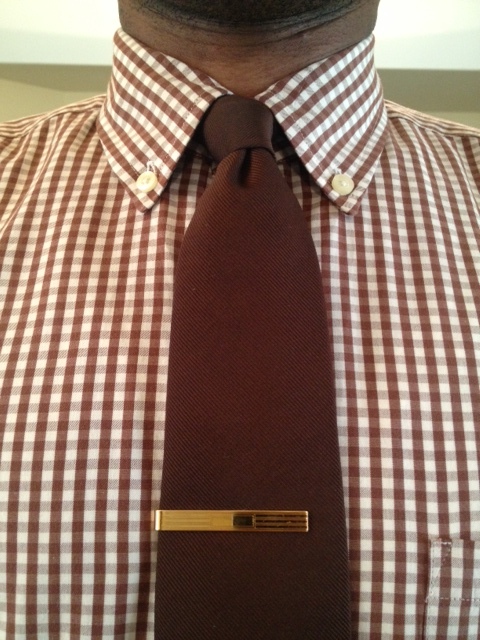 I went with a brass tie pin today instead of a tie bar. 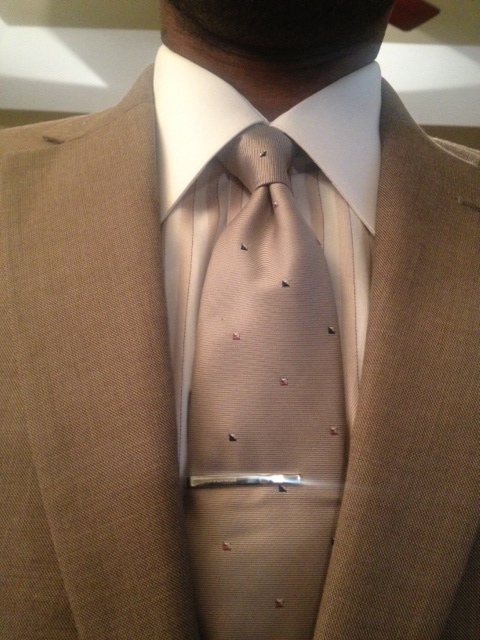 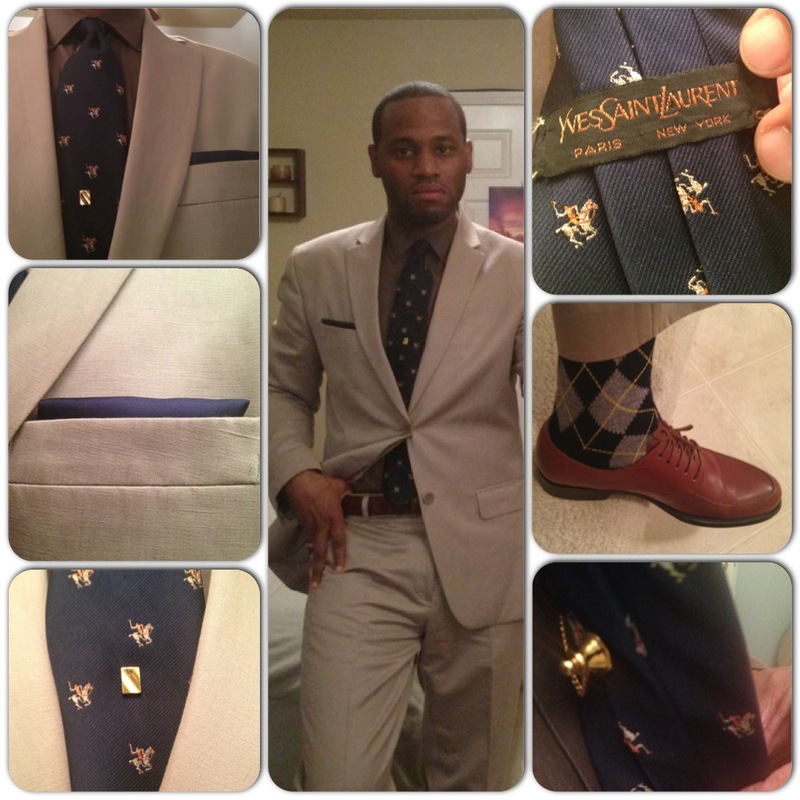 The tie pin is a Belk store brand. 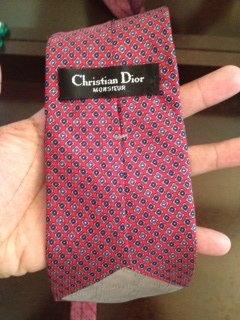 I think I caught this accessory on sale for $12. 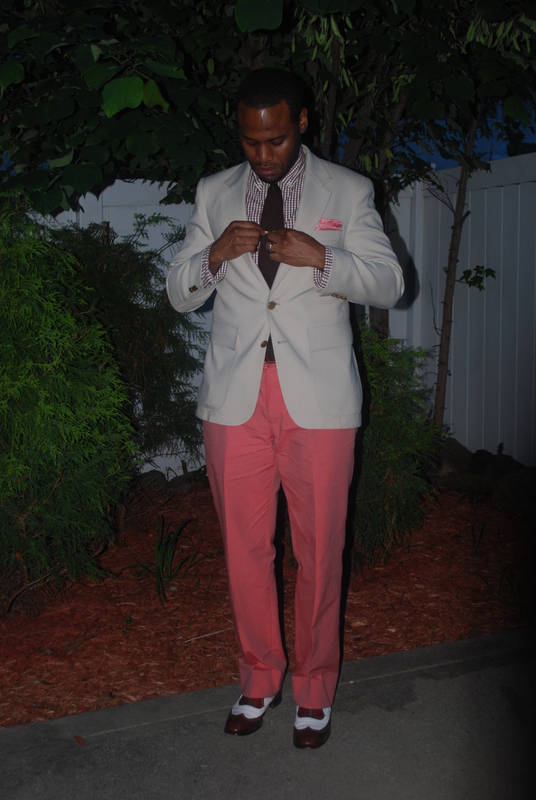 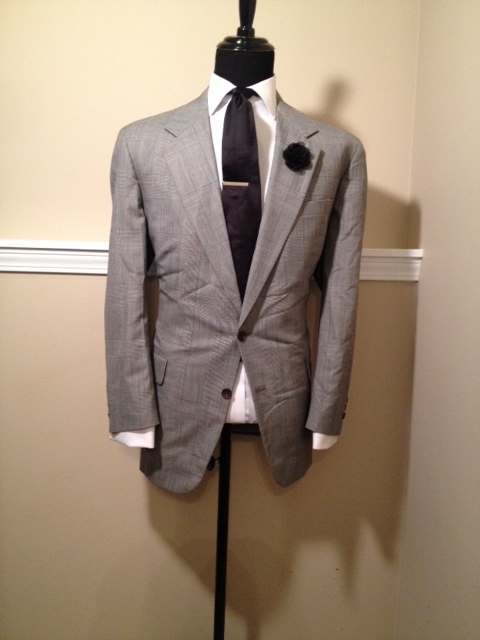 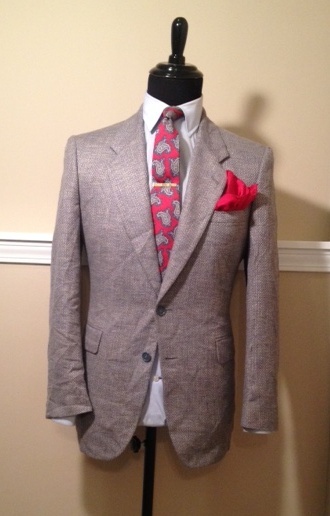 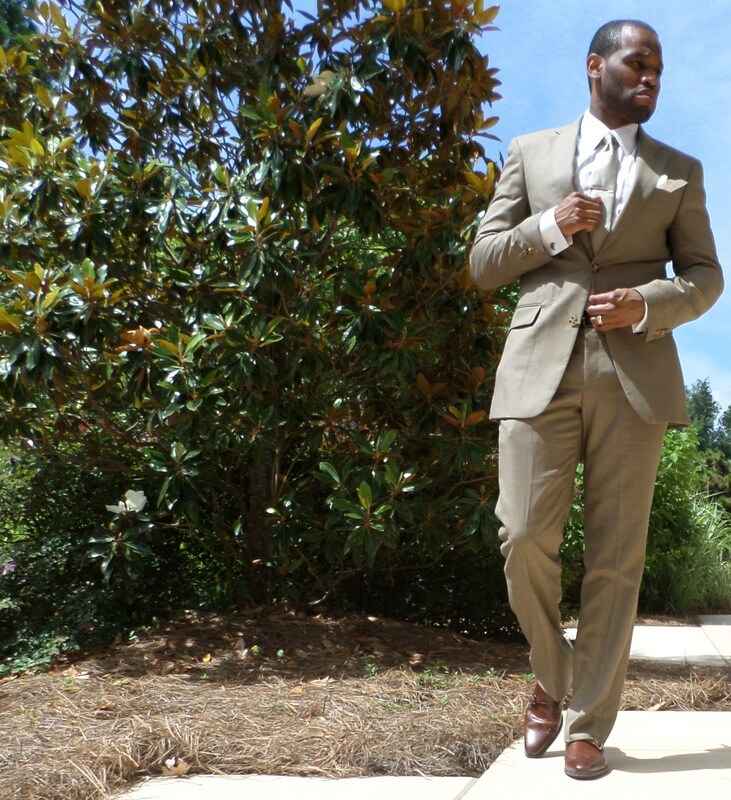 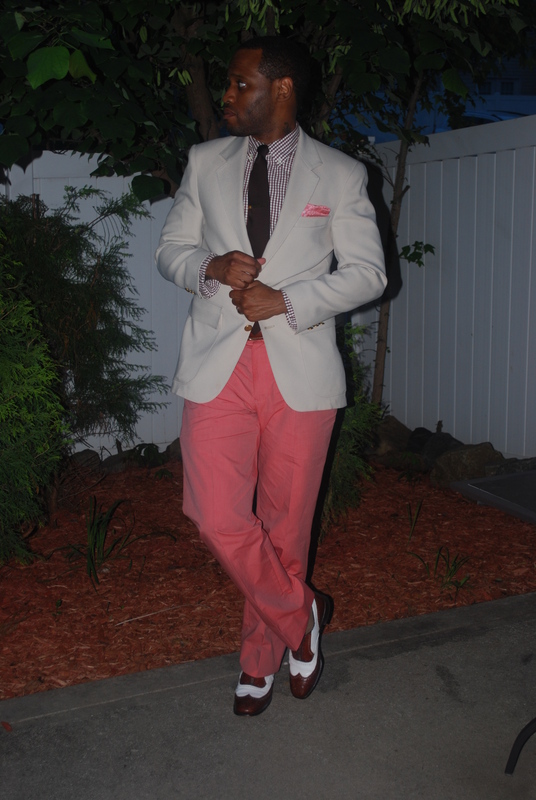 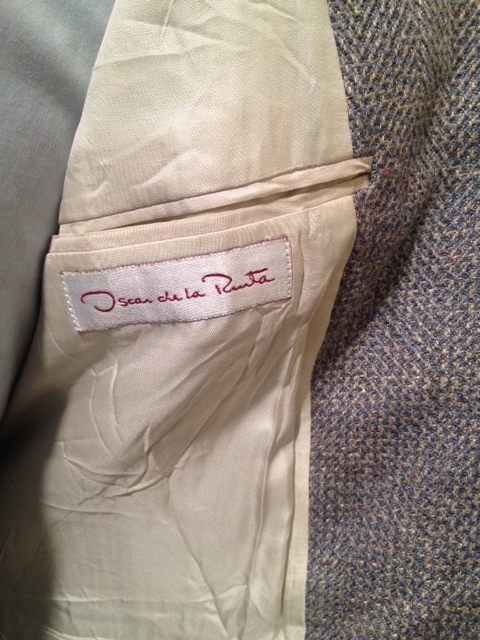 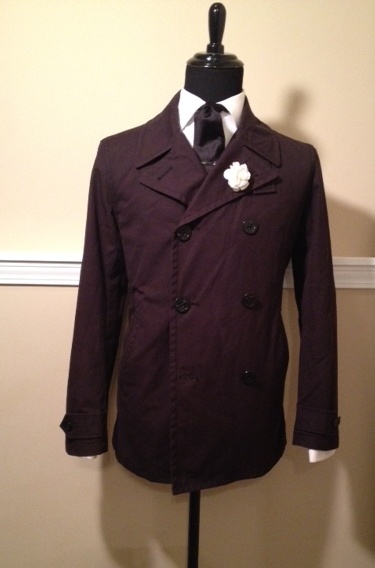 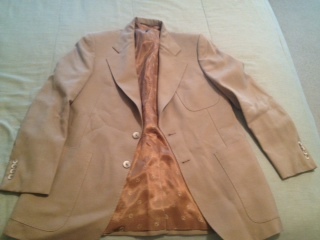 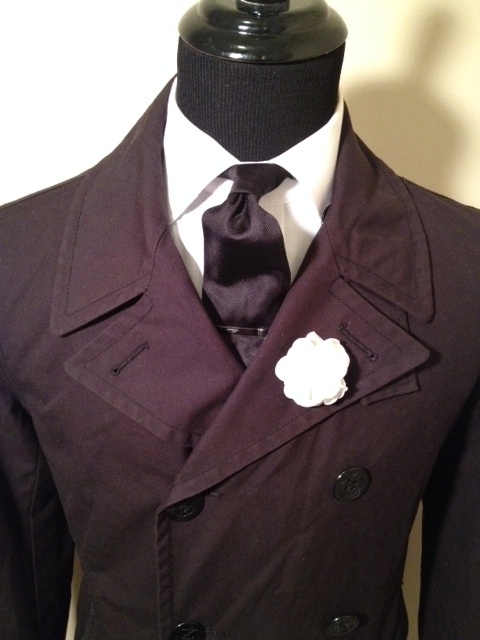 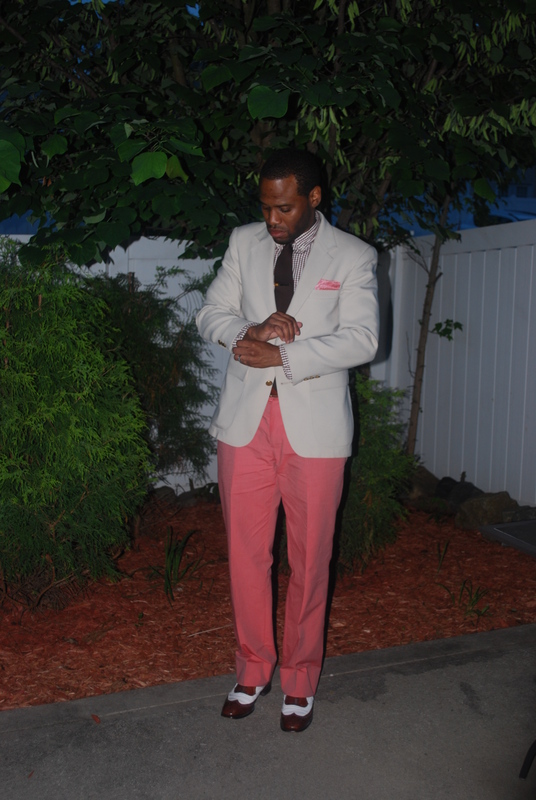 Khaki suit, notch lapel and center vent, is made by Calvin Klein.